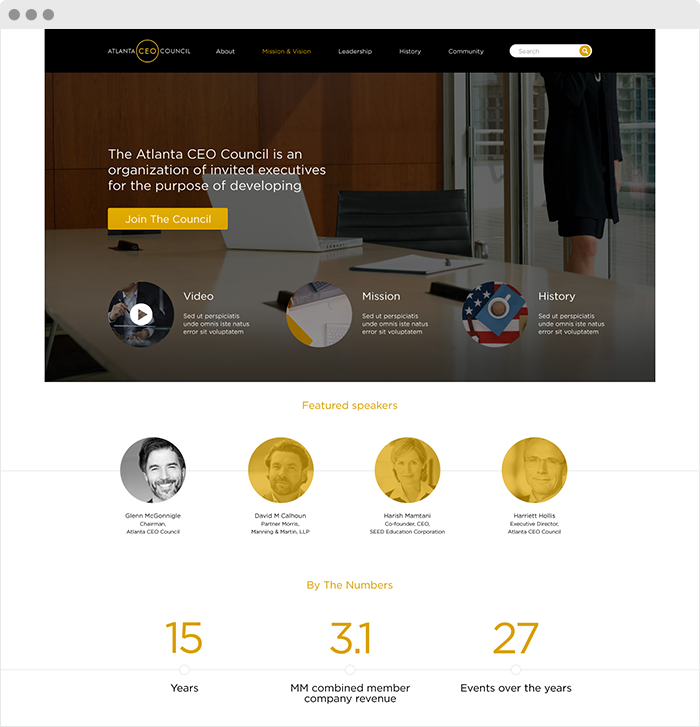 Website design and development for the Atlanta CEO Council. The Atlanta CEO Council empowers local CEOs to excel by connecting them to their most valuable resource: each other. 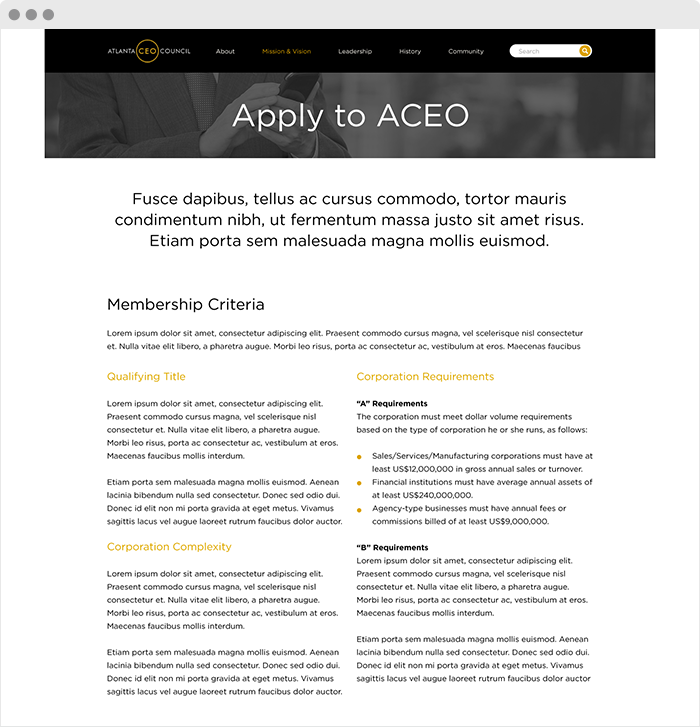 It addresses the top four needs shared by every CEO: opportunities for personal development, connections to customers, exposure to capital, and access to talent. This goal is accomplished via the three pillars outlined in the Council’s mission. 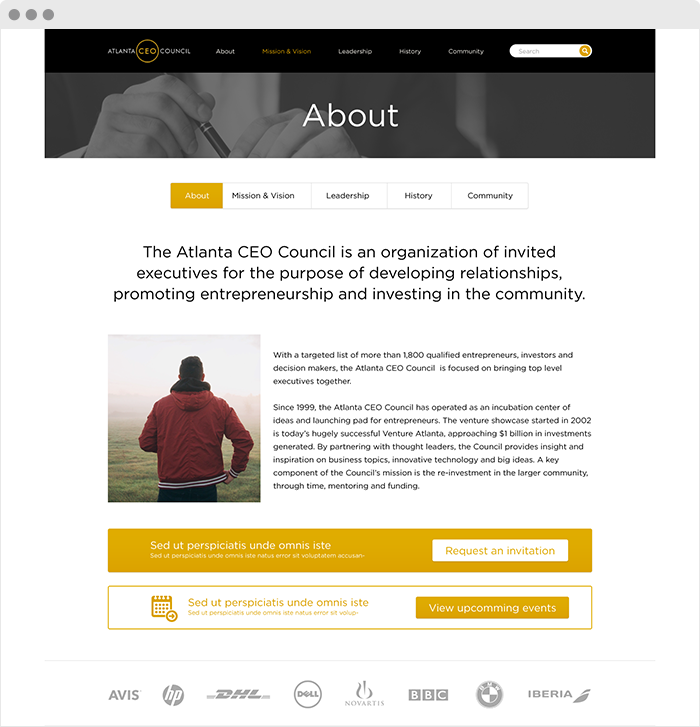 Each member of the Atlanta CEO Council is part of a private network dedicated to empowering Atlanta’s most innovative executives.